Do you know your exposure to external attack? Gain continuous insight and control of your evolving exposure to external attack with Assetnote. Assetnote automatically maps your external assets and monitors them for changes and security issues to help prevent serious breaches. Modern development and infrastructure management practices are fast paced and constantly changing. Attackers have evolved, have you? Keep up with Assetnote. You can't protect what you don't know is out there. Improve your asset awareness with Assetnote. 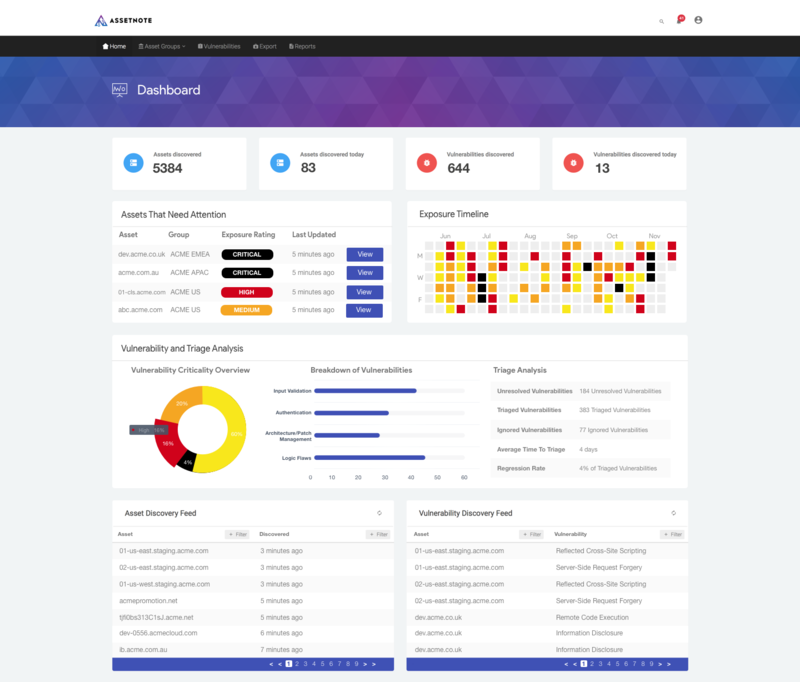 Assetnote continually monitors your external attack surface as it evolves allowing you to identify and triage high impact security issues quickly. Because Assetnote is performing continuous discovery and security analysis you can find issues in ephemeral and in-development assets before the attackers do. Don't wait until your next quarterly penetration test (or worse a breach) to find out you have a security issue. Find out immediately with Assetnote. Continuously monitor your attack surface for application security based regressions with Assetnote. 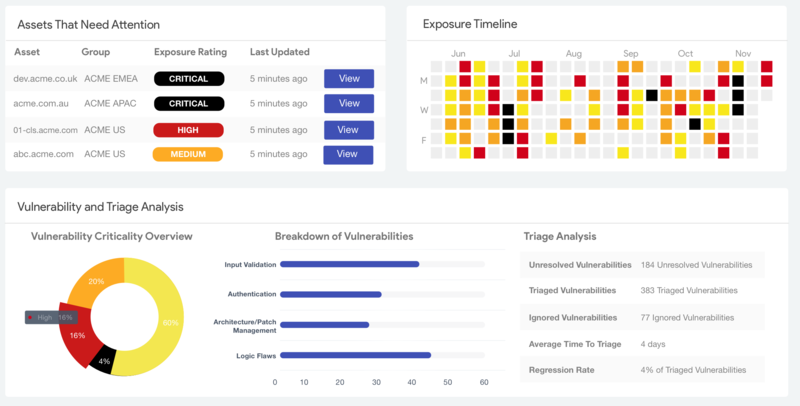 Our advanced security engine is asset aware and optimized to identify vulnerabilities that have actual security impact so you are not wasting your time triaging "filler" issues. Each asset and asset group in Assetnote has an exposure rating indicating the overall security state of that asset or asset group. 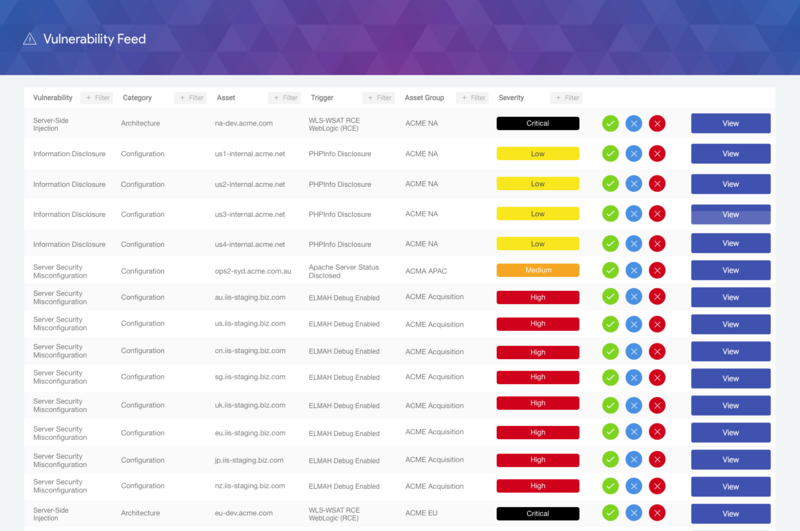 Using Assetnote's Dashboard you can easily understand what is bringing the health of your assets down and more effectively invest in remediation and defensive activities. Utilizing advanced reconnaissance techniques across web and mobile channels, Assetnote continuously maps out your evolving external attack surface. Keep pace with your development teams with Assetnote. 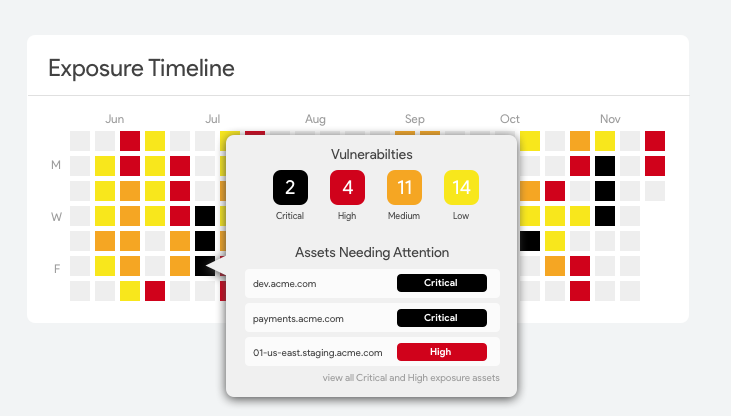 Assetnote continuously analyzes your evolving attack surface for security weaknesses using our high-signal security engine tuned on years of security research and successful bug bounties. Forged from years of successful bug hunting, Assetnote's security engine is built to find vulnerabilities that have actual security impact. No report filler here. Most of our clients have thousands of externally facing assets that are constantly evolving. Keeping track of these assets is easy with Assetnote's powerful asset management features. Assetnote is not a "black box". Tap into your rich, continuously up-to-date asset database with a number of built-in integrations or write your own with our API. Battle tested for years on the bug bounty frontlines, Assetnote can handle continuous security assessment across hundreds of thousands of assets without breaking a sweat. Find out how Assetnote can help you lock down your external attack surface.